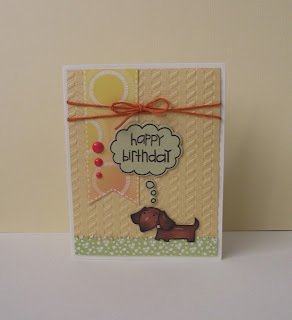 This one is for this weeks Paper Smooches Sparks Color Challenge. Adorable! LOVE the orange panel and your sweet doxie. Great card, Kim. You will bring an early Spring to the PQ! That card is soooo adorable!